Since 1979, Cal Air Cooling & Heating has provided Henderson and the surrounding areas with the best in indoor comfort solutions and products available on the market. We understand that your home and business needs to have quality HVAC solutions so that you can be comfortable throughout the year, especially during the extreme seasons when temperatures reach record highs and lows. 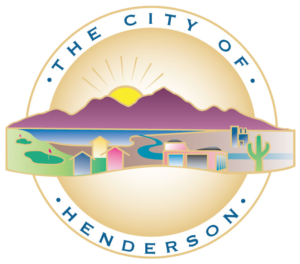 We take pride in providing our Henderson customers with exceptional service when it comes to repairs, maintenance and installation options. Each of our technicians are certified and qualified to provide you with exactly what your system needs to operate efficiently. You and your family can expect high quality service on every maintenance or repair visit. Our team has a proven track record for providing nothing but the best for every customer, no matter what your service need. Cal Air Cooling and Heating is a member of the Better Business Bureau, and we have an A+ rating that we are very proud of. Let us provide you with the home heating and cooling services you need for success. Below are a few examples of what we can provide you and your family when it comes to HVAC services and home comfort needs. When the winter months arrive, you need to have a properly functioning heating system to keep you and your family warm and comfortable when the temperature starts to drop. When your system doesn’t work properly and you can’t keep the home at an optimal temperature, everyone in your home will be uncomfortable and may even get sick. Let us provide you with the services you need to keep your heating system operating efficiently. Our team of NATE certified technicians offer repair and maintenance services for nearly any type of heating system. In addition, we provide a variety of new system options and expert installation for those who are moving to a new home or want to replace an old and inefficient system. Just like heating, cooling is an important part of home comfort. When the temperatures start to heat up in the summer, it can be nearly impossible to get comfortable without a working air conditioning unit. Similarly, if your system is old or in need of repairs, you may be wasting energy, which can drive your cooling bills through the roof. Let us provide you with the best in cooling comfort so that everyone in your home is comfortable no matter how hot the summer sun is outside. Cal Air Cooling and Heating is a certified Carrier Factory Authorized Dealer, providing the best AC systems and products available today so you have only the best for your HVAC needs. From central systems to heat pumps, we offer nothing but top-rated cooling systems for your home comfort. When considering your heating and cooling options, homeowners should also monitor indoor air quality in order to keep their family comfortable, healthy, and safe. HVAC systems help you have greater control over the temperature and comfort level of your home, but they aren’t always enough to control the quality of your indoor air. It is important to have the indoor air tested to ensure that the air you and your family are breathing is of the best quality. With our indoor air quality testing services, we can provide you with the information you need to be sure that you are breathing only quality air. We also provide filtration products such as humidifiers, air cleaners, UV lamps and ventilators to ensure that your air promotes good health instead of causing allergies, asthma or respiratory issues. Let us provide you with healthy, clean air today. Contact us to find out more about our HVAC upgrade options to improve your home comfort and indoor air quality. The duct work of an HVAC system must be in optimal shape to provide clean and healthy air for the home. The duct work pushes the cool or warm air throughout the home so that you can feel comfortable during the winter and summer seasons. At Cal Air, we provide Aeroseal and duct sealing services so that your duct work will not leak or lose precious air. With our sealing services, we can provide you with money-saving opportunities for your home by ensuring that your system runs as efficiently as possible. Contact our team today, and we can check your duct work to make sure that you have sealed and secure duct work in the home. Much like an automobile, HVAC systems also need maintenance to ensure they are running smoothly and efficiently. Our trained HVAC technicians provide a range of heating and cooling system maintenance services, offering you inspections and cleaning services for your systems so that your unit is ready to operate at maximum capacity. We also provide maintenance agreements so that you can have the service you need on a schedule, every time you need it! We offer installation, maintenance, and repair services on a wide range of products, including Carrier air conditioners and furnaces. As a factory-authorized Carrier dealer, we are able to offer our customers some of the best heating and cooling systems and products available on the market. From complete HVAC systems to specialized upgrades, we have all of the heating and cooling products and services you need to keep your Henderson home comfortable throughout the year. Contact our team today at Cal Air to get started learning more about our many service options. We are ready to serve you in the home and office in order to ensure that you have efficient comfort year-round. We offer free diagnostics with our repair services. Contact our office today to set up an appointment with our trusted technicians or to learn more about how we can serve you. Call us today at (702) 550-1435.